If getting in or out of a bathtub is becoming troublesome for you or a loved one, let All Bath Concepts help. An All Bath Concepts Consultant can assist you in determining if a Walk In Shower, Tub to Shower Conversion or Safety Bathtub is right for you or your loved one. A safer, more enjoyable bathing experience is only one call away. "Getting in and out of our bathtub isn't as easy as it used to be, and that's not going to change. We'd really like it to be more spacious and accessible." Looking for a safer, more spacious shower? Let All Bath Concepts replace your high-sided bathtub with an easy-access, low-threshold, luxurious shower. Our tub-to-shower conversion package will fit precisely into the space of your current bath area saving you costly remodeling fees. With a drain placed at one end-to match your current tub-you'll also save on plumbing expenses. All of our tub-to-shower systems are made of multi-layer acrylic making them very easy to clean. Accessories such as safety grab bars, shower seats, and hand held sprayers will make your showering experience as safe and secure as it is refreshing. "My bathtub is just too difficult to get into, I need a bathtub that will be easier and safer for me to get into at bath-time." Walk In Bathtubs can allow for you or your loved one to become more independent in the home while still enjoying a soothing soak with easier, safer access. If bathing has become an unsafe situation or if medical needs require it, All Bath Concepts can replace your current, high-sided tub to allow you to soak comfortably in a Walk In Bathtub that has twice the bathing depth of a traditional bathtub. Ideal for those with limited mobility, disabled seniors, or those suffering from debilitating conditions such as arthritis, pain, and stress. 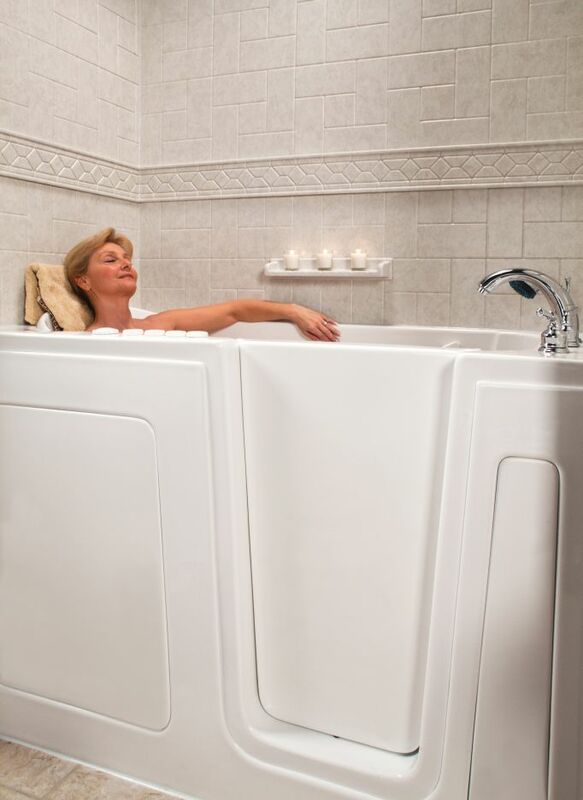 Bathe in a seated position and relax knowing you will be able to leave the bath safely and effortlessly. Your All Bath Concepts Mobility Consultant will assist you in choosing from our extensive line of spacious safety bathtubs that come equipped with sturdy leak proof doors, with or without whirlpool jets, built-in security grab bars and a skid resistant floor which makes it easy for you or your loved one to get in and out for an independent bathing experience for years to come. "I have a person in my home confined to a wheelchair for their mobility. Getting into the shower is a difficult, two person operation. Can you help us?" 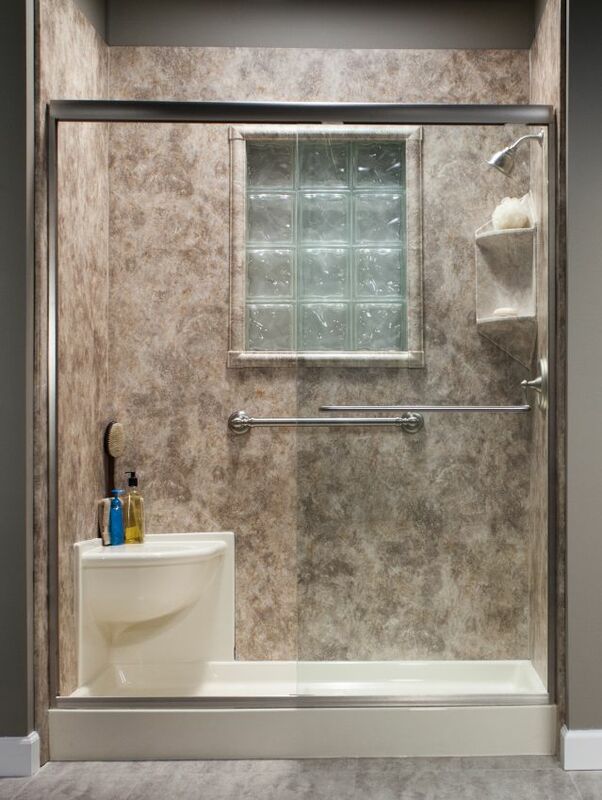 Be independent in your home with a shower designed to conform to ADA Standards. 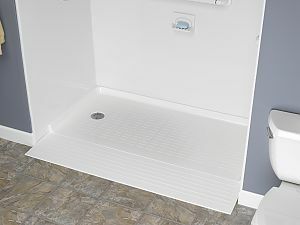 We can install a barrier-free shower system that allows for a wheel chair to be rolled right in. Using our other optional safety equipment and accessories, like safety bars, seating, and hand held faucets, your barrier-free shower can be custom made to suit your precise needs. Ask about our Senior Discount Program! email: info@allbathconcepts.com | Base Content Copyright © 2019 Market Hardware, Inc.